How do I participate in an On Award Enrichment activity? Australia Awards Indonesia will invite selected students to attend, or apply for, every On Award Enrichment opportunity. You will receive an email from the On Award Team inviting you to either attend a function/presentation or to submit an Expression of Interest to attend a program. Applications for some programs (eg. BAGUS, RIRI) will be subject to a competitive selection process. I seem to be missing out on invitations to apply for On Award Enrichment activities. What can I do? Firstly, you may not meet the criteria for certain activities. For example, some programs are restricted to students who work in the Indonesian civil service and who have been studying in Australia for more than one year. If you feel that your details may be recorded incorrectly on the database, you should email leli.setiono@australiaawardsindonesia.org to check and/or update your details. Can I apply for an On Award Enrichment activity if I have not been invited? Yes, you may submit an Expression of Interest if you hear about a program through a friend, but you should note that you are unlikely to meet the criteria to be selected. My application to attend an On Award Enrichment activity was unsuccessful. Will I be selected next time I apply? If you are not selected for an On Award Enrichment activity, your chances of being selected next time you apply will be increased, but not guaranteed. Will I get an opportunity to participate in an On Award Enrichment activity before I return home to Indonesia on completion of my study? Unfortunately the number of On Award Enrichment opportunities will not be able to cover all of the On Award students from Indonesia, and you might not get an opportunity to participate in an activity before you return home. 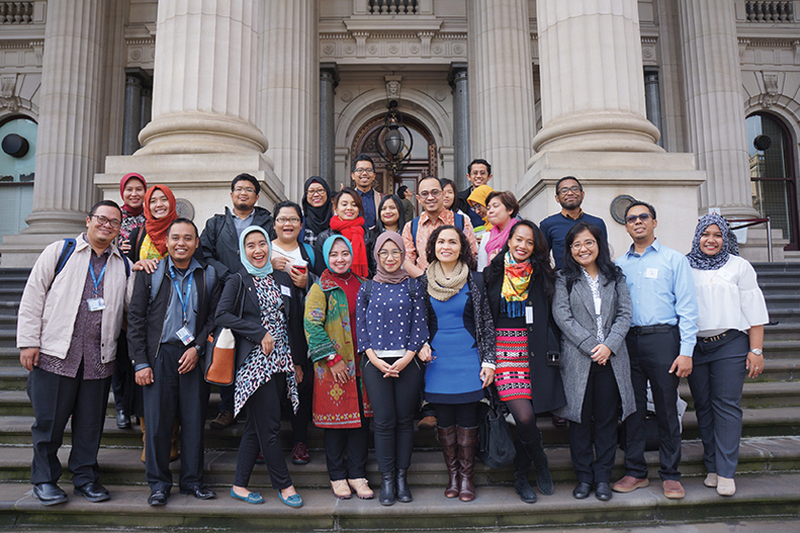 Over the next few years there will be between 500 and 800 Australia Awards Scholarship students from Indonesian studying in Australia, with an estimated 200-300 of these students participating in an On Award Enrichment activity. I have already participated in one of the On Award Enrichment programs – can I apply to attend the same program next semester or next year? If you have already attended a particular On Award Enrichment program, you will not be shortlisted or selected to attend the same program again. Therefore, it is recommended that you do not submit an Expression of Interest to attend that program again. I have already participated in one of the On Award Enrichment programs – can I apply to attend a different program next semester or next year? Yes – you are welcome to submit an Expression of Interest to attend a different On Award Enrichment program in the future. However, depending on the number and nature of applications received, you might not be selected for the program on the basis that you have already had the opportunity to participate in another program. I would like to enrich my on-award experience by attending a conference. Can On Award Enrichment help with this? Unfortunately the current status of the On Award Enrichment program means that there is no discretionary funding for ad hoc activities such as attending conferences or seminars. It is recommended that you speak with your Student Contact Officer at your university to make enquiries on what is possible through the university. I would like to enrich my on-award experience by having work experience or an internship with an Australian organisation. Can On Award Enrichment help with this? Unfortunately the On Award Enrichment program does not currently include work experience or internships. However, this is an area where the On Award Enrichment team hopes to make some progress in the next two years. In the meantime, it is recommended that you speak with your Student Contact Officer at your university to make enquiries on what is possible through the university.